Selling frames to a patient visiting your practice for a comprehensive exam used to be an easy sell. Now, due to online retailers and show rooming practices, your frame sales to these patients could be falling flat. But, you can boost frame sales by providing your patients with something that online retailers can’t deliver—honest, in-person customer service. If you take the time to ask your patient questions during the comprehensive exam, you’ll have a significant advantage over your online competitors. Use and review the patient’s lifestyle questionnaire and ask about their hobbies. If they don’t like wearing glasses, ask them why. Get to know them! The more time you take to get to learn about your patient, the better chances you will have at selling them frames or other products from your dispensary. Your patients may not know what they need from a pair of frames. If you’re walking your patients to your frame boards, use what you have learned about the patient to make suggestions of what frames would work best for them based on style, materials, budget, and your understanding of the patient. Make the shopping experience fun for the patient. Let them try on as many frames as they can. Be honest about which frames work with their needs and which ones don’t. If you notice that your patient has to get as close to the mirror as possible to see how the frames look, offer to take their picture with their phone. Or, you can get an office selfie stick or photo booth to get all of the staff members in on the fun, and to allow your patients to share photos with friends and family to get a second opinion. Up-sales can be an intimidating part of the sales process, especially if the patient is buying their frames out of pocket. But, if your patients don’t know about a special promotion, then there’s no point in having it. As your patient is trying on glasses, let them know about any special promotions you have going on and how much they could save. Then, at checkout, let them know how close they are to meeting the requirements and show them the savings that they will get if they participate. After all of the work you put in, there is a chance that your patient may not be ready to make a purchase yet. Perhaps their budget doesn’t allow them to purchase designer frames, or perhaps your practice doesn’t have a pair of frames that meet the user’s needs. Don’t pressure them into purchasing frames they don’t like or frames that don’t meet their needs. If you find that you can’t get the patient what they need, it’s ok to point them to a retailer who can. When your patient is ready for new frames in the future, they are likely to remember how helpful you were and either ask you to special order the frames or return the favor and point new patients to you. Do you need more tips to boost frame sales? 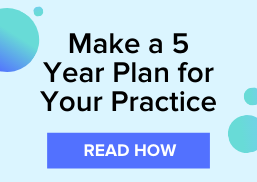 Read this ebook to discover how your practice can get bigger profits in your optical dispensary in just 4 weeks!